Connect to the Exponential Future. SingularityU empowers a global community to develop and implement solutions that harness and advance exponential technology. 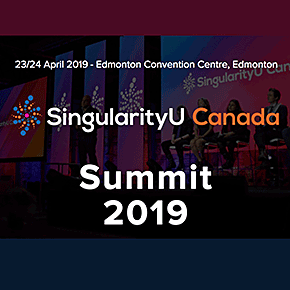 Building on the success of the first SingularityU Canada Summit, we are expanding the conversation and sharing the best of Canadian and international technology. Learn about the transformative impact that technologies like artificial intelligence, nanotechnology, and digital medicine will have on our lives and our world.